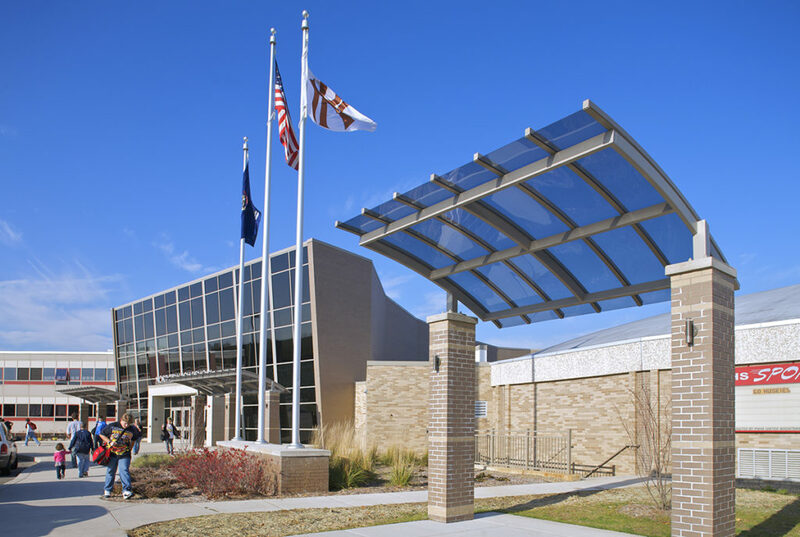 Portage Public Schools - Byce & Associates, Inc.
Design Program: As part of a bond proposal passed by Portage Public School District in 2007, Portage Northern High School underwent a major renovation/addition. 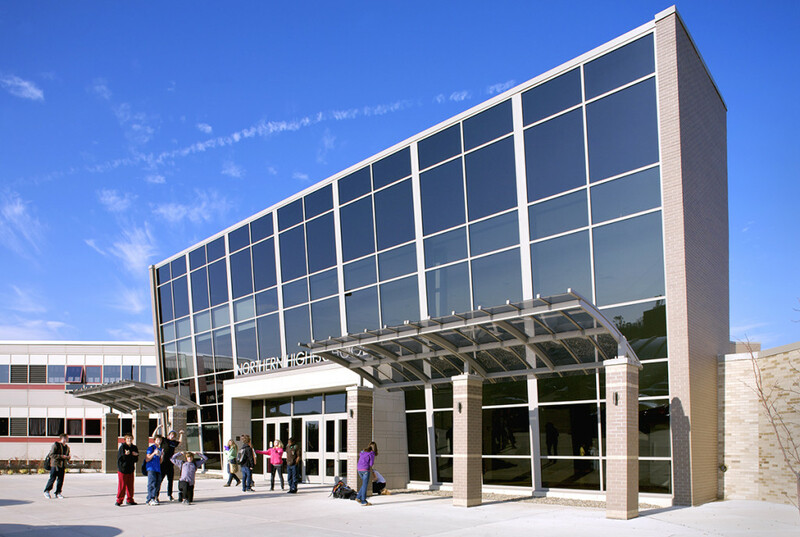 The High School is comprised primarily of four levels of which three are stacked directly on top of one another and the fourth is offset by a partial level. All four existing levels were demolished within the shell of the existing structure and redesigned to accommodate current space planning needs and curriculum. 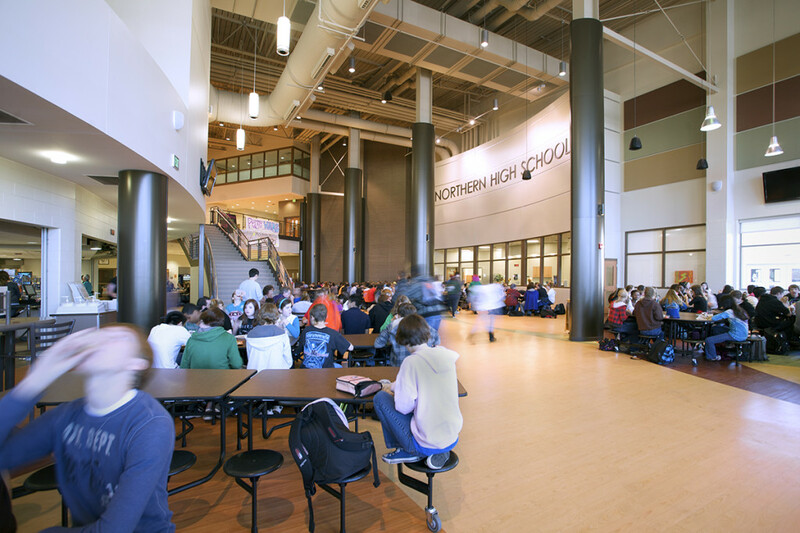 A new commons/dining addition was added that included a multi-leveled environment used for dining, after school events, intermission space for athletic events, and central core for vertical circulation. 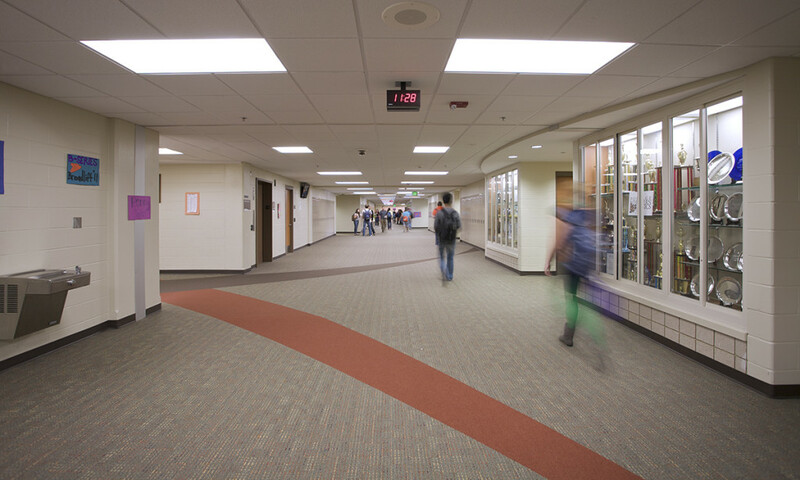 As part of the renovation and new additions, the core stacks of men’s and women’s restrooms and athletic locker rooms were renovated with the goal of updating finishes to match the new additions and compliance with current ADA requirements. Also included was a four pipe heating and chilled water system with multiple variable air volume air handling units, air-cooled chillers, and variable speed pumping systems were added to the facility. 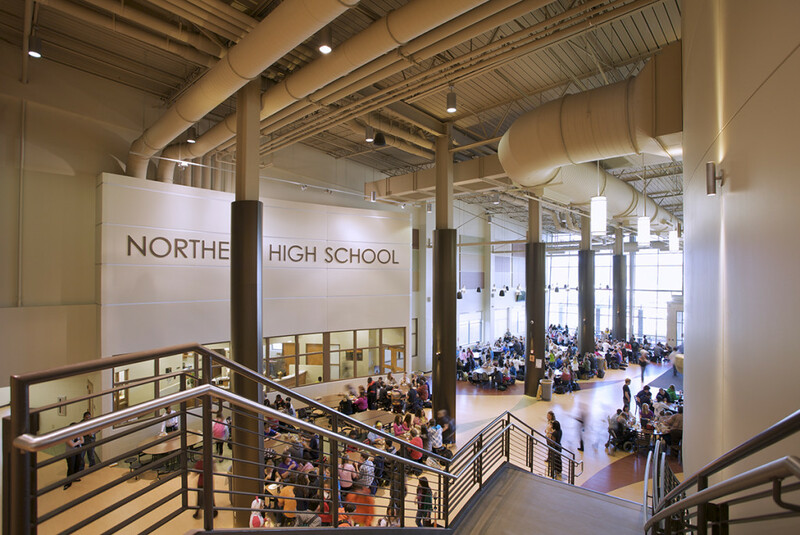 The systems included multiple condensing boilers, energy recovery, science fume hoods, dust collection, media center, full kitchen, atrium smoke evacuation, multiple locker rooms, and gymnasiums. Building level integrations included power meters, lighting controls, emergency generators, fire alarm, and complete HVAC systems. Close coordination was integral with the Information Technologies and Facility Directors. 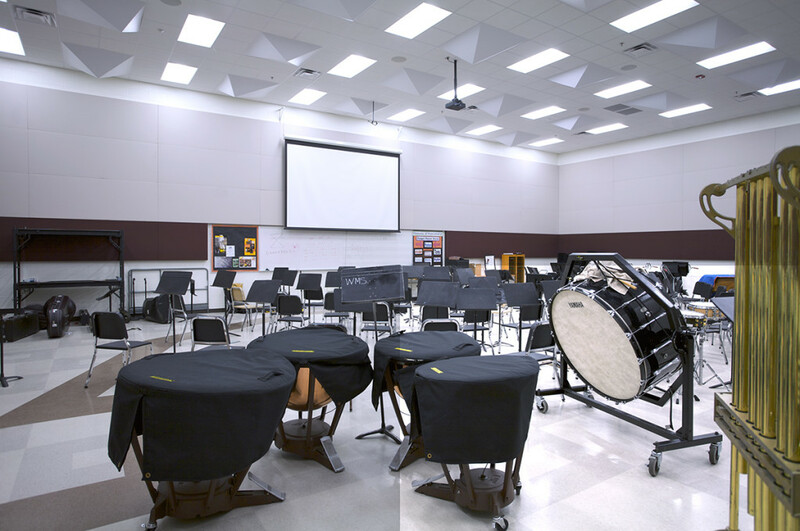 Though this facility underwent such a large scale renovation it was required that the building remain occupied at all times during the school year. As a result, an extremely high level of drawing coordination was required to appropriately phase the construction package along with a high level of project oversight during construction.